It took Barbara Barton three tries and a long painful process to write a book about wild rice. Her fieldwork as an endangered species biologist, initially with the Michigan Natural Features Inventory and later at the Michigan Department of Transportation, drew her into a story that she never expected. Barton got into ricing in 2008, when Roger LaBine, a water resource technician for the Lac Vieux Desert Band of Lake Superior Chippewa, introduced her to its history while she researched storm water management in the Upper Peninsula. 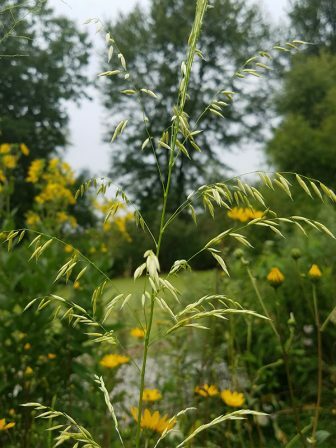 Wild rice is sacred for the Anishinaabek, but most non-tribal people, like Barton, didn’t know the story. As she researched where it grew, she discovered amazing traditions and an important part of Michigan’s landscape. Both were in danger of getting lost. For seven years, she considered writing an article about what she discovered. But the climate change that threatens the rice made her realize a book was warranted. She learned a lot more about rice than she thought possible. “Non-tribal folks have an ecological idea, but no concept that it was here,” Barton said. That shocked and saddened her. Old newspapers became an important source of information. The book was challenging to write. In fact, she wrote three versions. The first version described the seven fire prophecies of the Anishinaabe, which recount parallels between the people and the rice. “But it was a culturally sensitive issue and feedback from Native Americans determined it wasn’t really for the public to know,” she said. She wrote the second version with additional feedback from other tribal people. “It still just didn’t seem right,” she said. For the third version, she incorporated tribal stories into the tale, asking Native American friends to write them. “That was what made the book complete,” she said. “It was a very painful process, always a learning experience, a healing process, and I almost quit twice. 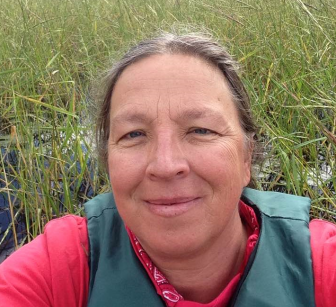 Barton sees a bright future for Michigan’s wild rice but tempers her optimism. For one thing, climate change can worsen the brown spot fungus, a disease that can ruin pollination. And some lakefront property owners think wild rice is an eyesore to be removed. 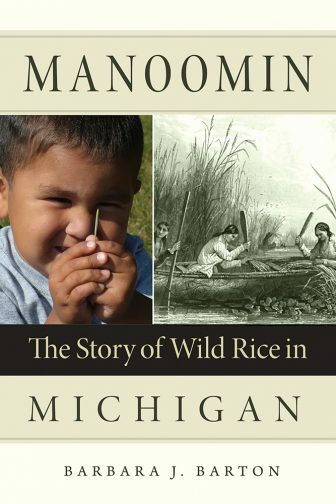 Manoomin, The Story of Wild Rice in Michigan, published by Michigan State University Press, is available in print for $29.95 and as an eBook for $23.95. Editors note: This story was updated Nov. 12, 2018, to indicate that Barton once worked with the Michigan Natural Resources Inventory.